When I started, I did not know there were so few girls making comics. I had some difficulties as a young artist, but not particularly tremendous as a woman, you see? And I didn’t care; I always felt like kind of a maverick. Born in 1951, Goetzinger began creating comics in the 1970s. 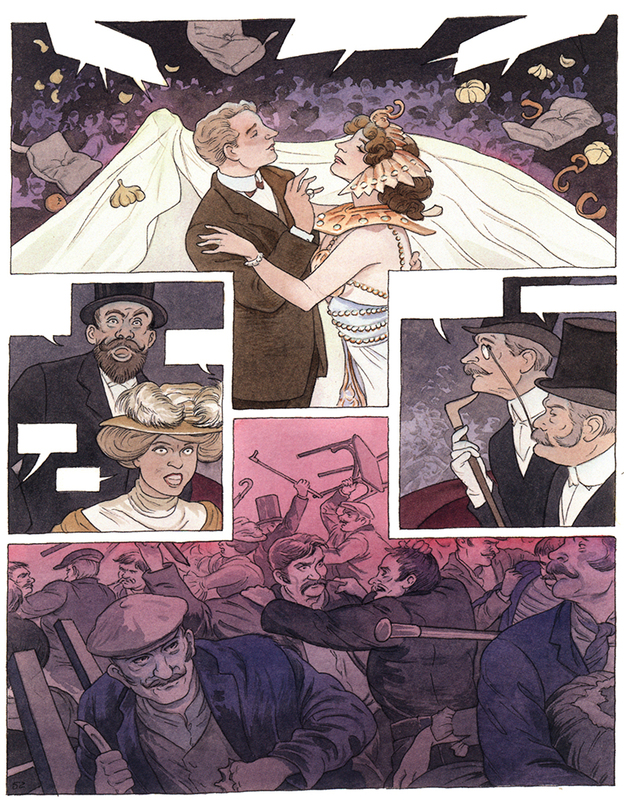 Her first full-length graphic novel, Légende et réalité de Casque d’or, a romance set in the seedier quarters of Paris, won two prizes at the Angouleme International Comics Festival in 1977. 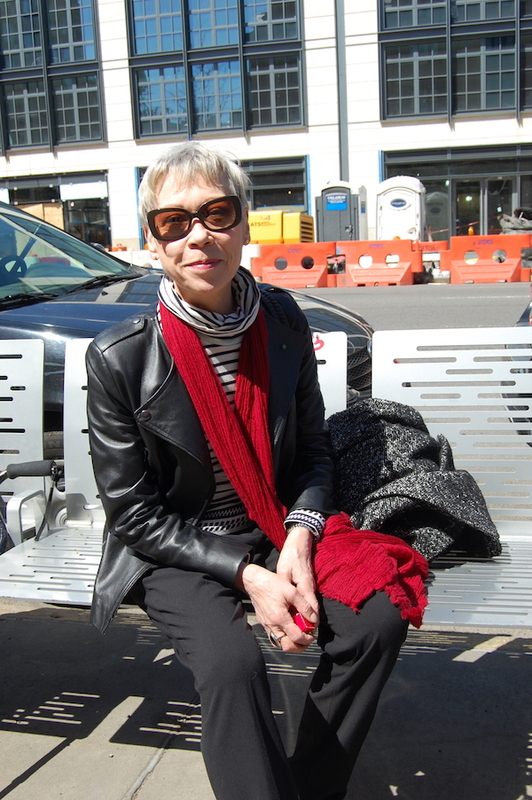 Working on her own or with collaborator Pierre Christin, she produced over two dozen BDs and also contributed to magazines and newspapers. 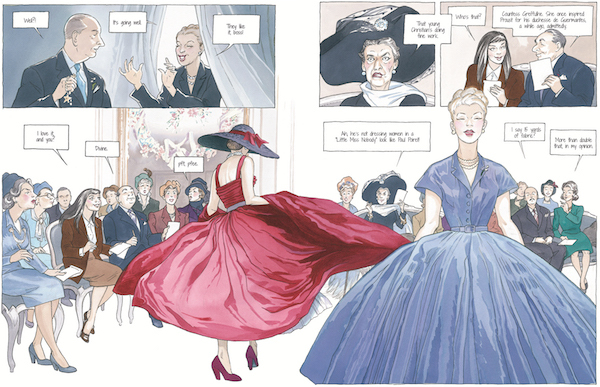 Although Heavy Metal magazine published a few of her short stories in English, Girl in Dior was Goetzinger’s first full-length graphic novel to be translated for English-speaking readers. In the interview, she said that was her choice, because it was a solo work, and because of her love of fashion. 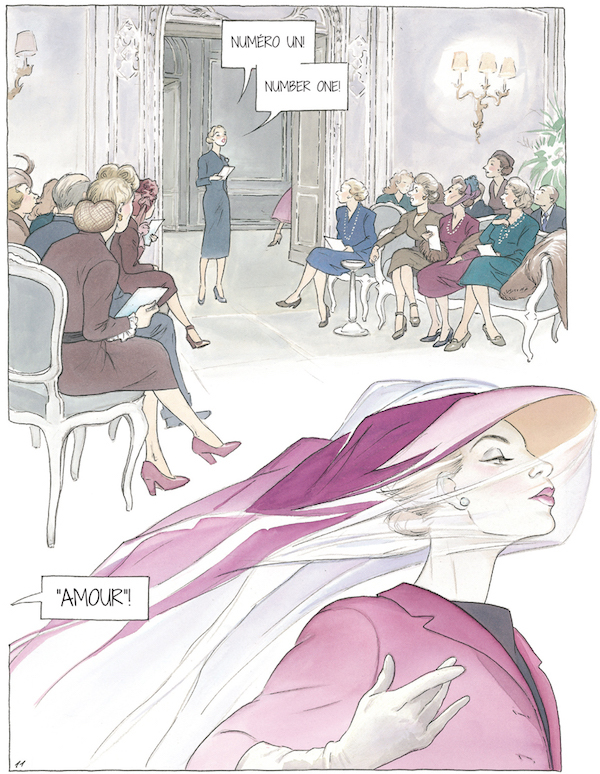 Indeed, Girl in Dior sits somewhere between graphic novel and a catalog of Dior’s outfits. Goetzinger carefully composes her pages, arranging the characters in circles or flowing curves. The dresses often upstage the models: She has a sure feeling for the textures of fabrics and the way different fabrics look when being worn by a model. Her drawings are simple and unfussy, and she has a steady hand. The book is painted in watercolor, and Goetzinger makes the most of the medium, its luminous colors and veil-like quality. In addition to her comics work, Goetzinger did costume design and newspaper illustration. She won several awards over her 40-year comics career, and in 2014 the BD Boum Festival honored her with the Grand Boum Prize for her lifetime achievements.